Volvo has for some time now had a predominant reputation for manufacturing one of the safest brands when it comes to road legal cars. From the snippets of information released from Volvo, it is clear to see that when it comes to safety, the new XC90 will not disappoint. The new XC90 that is predicted to be unveiled in August is said to feature some of the most technologically practical safety package components that are available in the world. 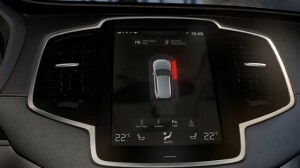 This new technology is keeping close to Volvo’s key values. 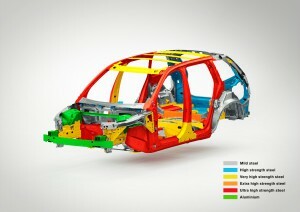 Previously The Volvo founders stated back in 1927 “Safety is and must be the basic principle in all design work”. Volvo now have a huge, but more so now achievable vision of “no one will be killed or seriously injured in a new Volvo car by 2020. In order of trying to achieve this feat, Volvo have used expert innovation to design a new safety feature called Run-off road protection. Volvo explain that Run-off road is a common accident type with different causes, such as driver distraction, fatigue or poor weather conditions. Because of this, a new feature for the new XC90 is the Run-off road protection. To try and combat vehicles running off the road, this will now mean that in a situation where the car is about to run-off the road, the Volvo vehicles will now detect the accident and then tighten the seat belts to keep the people travelling in the firm safer position. The belts will then remain tightened until until the vehicle comes to rest. In a notable amount of situations when a vehicle runs-off the road, passengers can suffer spinal injuries. 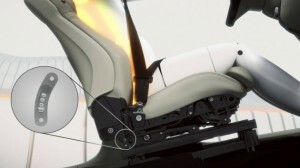 Volvo have developed a piece of technology that absorbs energy between the seat and the seats frame. This helps to cushion any force that is exerted once the vehicle leaves the road in an accident situation. Volvo propose that their new technology can actually reduce the exerted downwards force by up to 30 percent and thus reducing the chance of spinal injuries. Volvo have also identified that they can increase the safety of transporting people by actual preventing the run-of road situation before it happens. Lane keeping aid is a feature that allows extra torque to the steering if it senses the vehicle drifting out of lane without the knowledge of the driver. The new XC90 will also feature technology that detects when the driver has been driving to long, or is to tired to drive by measuring various indicators of the drive. If the driver is deemed by the statistics as too tired, the Rest Stop Guidance comes into play and will then direct the occupants of the vehicle to the next place of rest. The World Health Organisation have previously release an estimate that around 1.2 million are killed a year. It is clear to see that Volvo are making huge strides in order to restrict this figure from growing, and hopefully reduce in years to come.